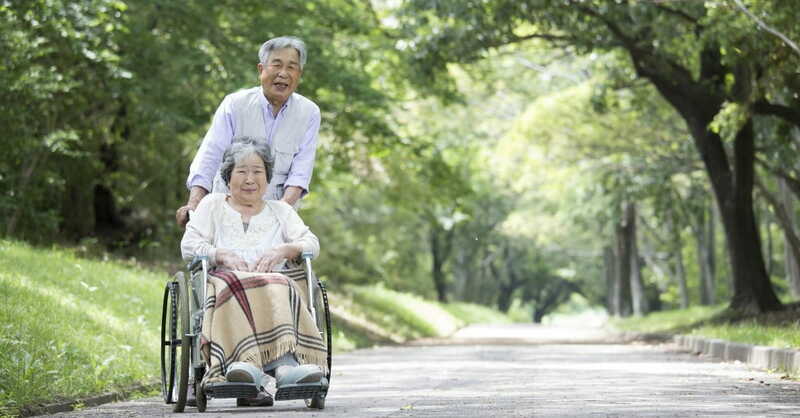 Can a Couple Still Enjoy Retirement When One Spouse is Ill? Retirement is a time which many happily anticipate. Visions of carefree, unmanaged time, excellent health, interesting hobbies, and delightful companionship dance in our minds. What happens when many of those fantasies stray widely from reality? What happens when ill health throws a massive curve ball into many aspects of those dreamy ideas? I am 68 and my husband is 71. We have had a good relationship for 48 years. We have worked hard all our life and are now retired. For the past two years he has been really ill. I thought when we retired we would be able to do the things we never really had time to do before. We always took our children on vacation and did things with them. But we aren’t enjoying life at all. We haven’t even been able to attend church in almost a year. I still read my Bible and I pray, although I am not sure God is even listening or hearing me. I have sorrow in my heart… all day long. I feel as though I am in an empty house. Can we still enjoy retirement together with him sick? This story is, indeed, tragic. This woman understandably expected that when she and her husband retired that they would have the time and energy to do things they never had time to do before. Now they have the time but do not have the health to do what they would like to do. With all that said, I want to talk about the power of emotional resilience: the ability to accept life’s challenges and grow through them. This couple, while facing a significant crisis, is not unlike all of us who face unexpected trials. We have all had circumstances beyond our control alter a course. In spite of the crisis, however, we do have choices. First, avoid over-reaction. While a situation may at first appear dire, we often imagine circumstances to be worse than they actually turn out to be. Even if the worst happens, step back. Sit with the discomfort and avoid a quick, impulsive over-reaction. Second, get some perspective. After initial shock and perhaps grief, step back and look at your situation from different angles. Reframing a problem often helps us change perspectives. This particular couple need to look at their illness, and subsequent losses, and get perspective. What about their situation can they change and what can they not change? What is the blessing in the struggle? Brainstorming new possibilities will be critical. Third, grieve necessary losses. To everything there is a season—a time to laugh and a time to cry. Thankfully, with the skill of “grieving well” comes relief. We all must say “goodbye” just as surely as we say “hello.” We must grieve what we have lost, whether it be a friendship, a family member, or even the loss of health. Grieving well gives us relief and allows us to move forward with life. Fourth, get lots of support. There are others who have faced and are facing what we face. Being with others struggling with the same issues offer us comfort and care. We can notice how they are coping with similar adversity. Reach out and find those who know exactly what you are going through and listen to their story while sharing yours. Finally, practice acceptance and lean into your new life. Ultimately, we must make peace with ourselves and God. We must come to understand that nothing in life is guaranteed, nor is it outside the sight and care of God. Everything is a gift and while we are sure to have blessings in our life, even amidst the pain, we are also sure to have sorrows. Practicing acceptance of our new life allows us to fully embrace what is happening to us and exert influence over that which we still can control. In summary, life will have its share of struggles, but we need not remain discouraged about them. Practice the above strategies to lean into your new life, ever-changing but filled with opportunities if we look for them. Do you know someone going through a life crisis? We at The Marriage Recovery Center are prepared to walk with you through this challenging season. Please feel free to contact me at MarriageRecoveryCenter.com or email us at frontdesk@marriagerecoverycenter.com.